Want to help out the community and get rewarded? 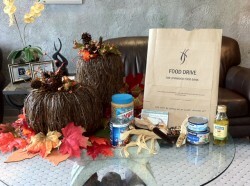 Now through November 20th Dr. Nichole Martin is holding a food drive to help support the Lynnwood Food Bank. Bring in one bag of non-perishable food items and Dr. Martin give you a tube of bleach free! Dr. Martin is Lynnwood dentist that cares about her patients and the community. Call us to schedule an appointment today!